Canadian recreational landscape of sports – Make it even! If you are in Canada, you cannot go without being active in any of the sports of the country. No doubt, sports and recreation are synonyms for the Canadians. With a view to staying active, they make use of the recreation infrastructure and the sports alike. Be it ice arenas, curling rinks, skate parks, tennis court, Golf Club or the Skating pools or any other sports field would be buzzing with vibrant activity. Both the government and non-governmental agencies for the benefit of citizens coordinate an array of recreational sports of the country. In fact, these activities are included as core activities at the school level itself. There is no dearth of skating rinks in the country especially in the winter season. It may not be an exaggeration that skating and learning to walk go hand in hand for the Canadians. Therefore, skating is an activity regarded as a recreation and at the same time ensures physical fitness and mental alertness. The hybrid form of Skateboard and a Snowboard, which is referred to as snow skating is also popular among the people of Canada. Another recreational activity assuring you to maintain the endurance levels in reaching the endpoint of the summit without falling across the natural rock formations. You will experience the real thrill not while climbing up the rock but also during the downhill. In fact, the skill while descending the hill is more since more accidents happen while descending down the hill. The winter sport is very popular and there are some exclusive curling rinks while others are used as multi-purpose sports with ice skating, ice hockey and also speed skating. 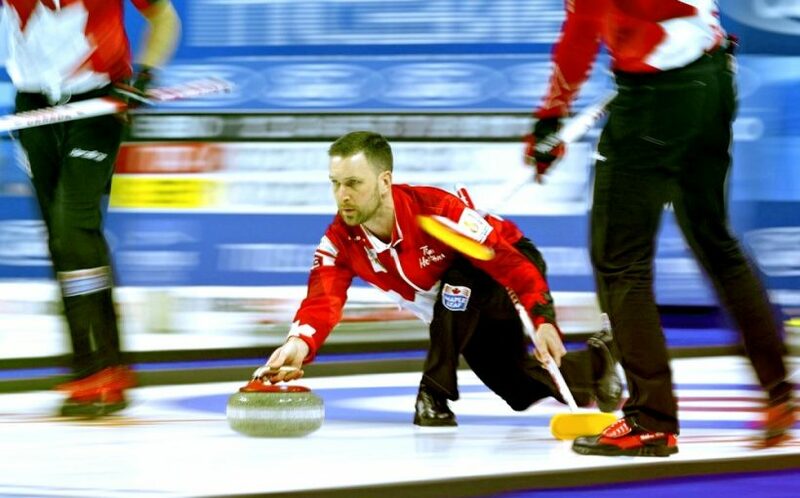 There are close to 100 curling Clubs in Canada catering to the exclusive and specific regional locations. Some of the largest curling rink clubs include at places like Callie which has 12 sheets, Tartan with 10 sheets and the Granite Curling Club in Winnipeg with 9 sheets. The most popular indigenous games such as Lacrosse, ice hockey, basketball, baseball, tennis, football, soccer and a host of other games are played in the country both for recreational purpose. In fact, though the hockey has been the most dominant game of the country for the past 150 years, other games like soccer and basketball are also gaining popularity. In either way, the recognition of sports activity for the physical and mental fitness played a vital role in introducing the sports in the educational curriculum.